This year my career journey has been a rollercoaster and has included thoughts of real estate, volunteering abroad, horticulture and property development. Only to end up back at the original idea I had more than 15 years ago. My latest thought is to be a Pastry Chef. I have always loved food. I love to eat and I love to cook, particularly sweet things. I have been inspired during my life by the amazing women in my family who could captivate a room with their cooking ability. My Nonna was a whiz in the kitchen. I experienced wonderful home grown, homemade Italian food. We didn’t really do dessert; some biscotti, crostoli, zeppole and cannoli that was about it, but that was enough. I have inherited from my nonna the art of being quick in life and in the kitchen. I’m always in a hurry to get things done so I can move on to the next task. I can still hear her sometimes in her own creative English language Quicka! Quicka! My Australian grandma was the queen of sponge cakes, powder puffs and potent trifles, a treasure of the local Country Women’s Association. She passed over 20 years ago, but people still speak of her glorious cakes and desserts today. I still recall her afternoon teas and suppers with a smile. The development of my sweet tooth started at her house. And then there is my mum, she is perfection in the kitchen. Everything has to be made precisely and cooked and presented beautifully. Everything is made with love and care. I wish I had some of her patience. Recently I wrote about An interview that could change my life. I heard back and I was accepted. I start my Hospitality Patisserie Course next week. I have enrolled fulltime, but I’m trying to be a little smart about it and have enquired about part time, so I can work a bit more on the side. Living on love will not pay the bills or any upcoming travel adventures. It’s a little scary how things can happen so quickly. I think I am on the right track with Patisserie. Although I haven’t decided whether this is something I am doing to feed my passions or whether I will make a career out of it one day. I have been asked by many people what I will do when I finish the course, I honestly don’t know and I’m okay with that. Life is an adventure and I’m just rolling with it. I love this! 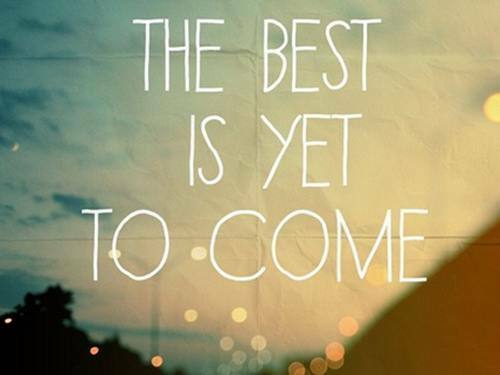 Why fear the future when the best is yet to come. Before I finished work as a health inspector many people asked me what I was going to do, I didn’t know and that was the truth. Many thought that there was more to it, that no one would leave a job because it no longer worked for them. There was discussion of a conspiracy. That I had left to go work for a consulting company and get paid a ridiculous amount of money. It’s true that I was approached, but there were no ridiculous offerings on the table. I wasn’t interested. This is a little awkward, but I feel the need to put my financial status out there, although I think it is a little bit vulgar to talk about money. I’m not big on structured planning. I go through life with an idea or an outline of how things will work. I didn’t leave paid employment to be a lady of leisure and make my husband work hard for the money. That would just be mean. When I left local government I had a significant amount of leave owing, including long service leave. I didn’t plan on living a lavish lifestyle but I thought that I could probably get away without working for 6 months, although that is not my intention. My plan if you want to call it that I was to get through Christmas, New Year, my birthday and a holiday with my Mr and then I would think about work. I didn’t anticipate on working in January and if possible I would love to have the summer off. 2013 started with a hospital day procedure, an infection and a road trip. It was the start of February when the whirlwind that was my life set me down and I decided that I had to get things on track, I needed a career path. I love action, I have ants in my pants and I have to go go go. I didn’t know where to start. I had received a couple of phone calls about working as an Environmental Health Officer, but I didn’t want to go back. It would be easier to just go back. I didn’t appreciate the temptation. I have been interested in property since I bought my first house in 2005. It is not unusual for me to go to real estate Open for Inspections on the weekend just for fun. My current home was purchased after a random open for inspection one weekend. It was a good buy, huge house, lots of potential, great location. After looking through some rental properties with a friend, I decided that a career in property management could suit me. Inspection, compliance, reports, communication are all experiences and skills that I had acquired from my former life of Health Inspector. This could work. I looked in the local paper and found a job but I needed the Agents Representative qualification, so I enrolled online. Just like that it was sorted. I was going to be a property manager. I was excited. I may still be a property manager, but things change and that is on hold for now.